We were proud to partner with One Hope United, a human services nonprofit headquartered in Chicago, for their “Hope In Action” fundraiser. 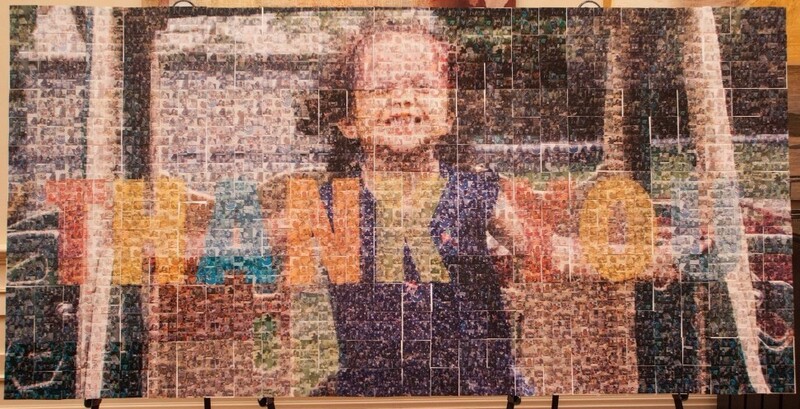 Staff there wanted to create a memorable experience for the evening, so we partnered with them to create a huge mosaic made out of hundreds of smaller photos of the families and children OHU serves. At the event, each guest was given a tile to the mosaic so that over the course of the night, all of the tiles came together to create the image you see above! The client loved that guests had a memorable experience that was more about just attending a fundraiser; it was about the shared experience of creating a piece of art in real time. Today, this beautiful mosaic hangs in OHU’s offices.